a Mommy Living the Life of Riley VIP! And of course, our well-known product reviews and giveaways! 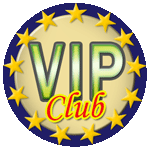 Thanks so much for stopping by today, my newest VIP. You are appreciated!